My best friend’s son, Grady, turned one the other day, and Paul and I headed up to Albany to celebrate. 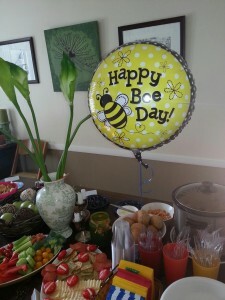 The first birthday party, which had a bug theme, was beyond adorable (photographic evidence here); being the only guests who hadn’t yet procreated was less so. 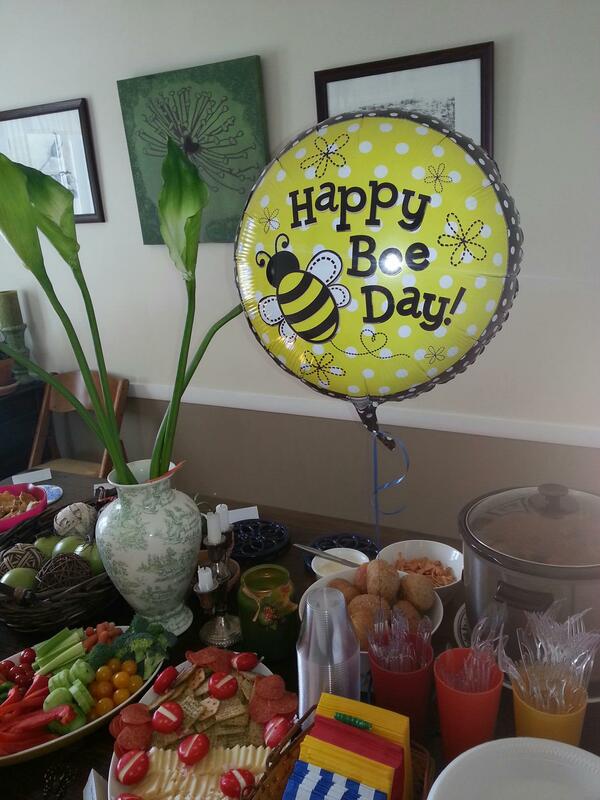 It was kind of like the time I went to my friend Brooke‘s bridal shower. I was the only woman at my table who wasn’t yet engaged or married. Granted, I was 22 years old, a few to several years younger than the rest of the women (and it turned out, one wasn’t ACTUALLY engaged yet; she just talked like she was), but I had been dating Paul longer than all of the women had even known their fiances/husbands had existed. As they talked knowledgeably about favors and flowers and gowns and grooms, I sat there silently, feeling downright childish for not having been proposed to yet. What was wrong with me, I wondered. What was wrong with Paul? What was wrong with our relationship? The answers, of course, were nothing. Still, I couldn’t help but ask myself those same questions at Grady’s party when everyone else in attendance was around our age and already parents. While I didn’t at all envy them when they rushed out of the room to tame a tantrum, I again felt like I hadn’t taken some essential step toward maturity that rendered these people parents and Paul and me childless. Unlike the women at that bridal shower, no one asked me why I hadn’t joined them yet (thankfully). Maybe it was because they were too wrapped up in their parenting world to take interest in us. Or maybe they knew we were from the city and assume that New Yorkers our age are more likely to get urinated on by a homeless person than attempt to reproduce (I don’t have the stats on that; it could be true). Or maybe because they were once in our shoes, however briefly because goddamn are these people fertile, and they know better than to ask questions like that. I would’ve been less bothered by not fitting in if the following hadn’t happened: When Paul and I felt so closed off from conversations about diaper duty and Disney, we retreated to a different room where some of the kids were playing. Having been a camp counselor and later, a nursery school teacher, I was happy to engage the preschool-aged tots. At that point, I felt like I had more in common with them than the 30-somethings! Soon, we were playing games and they intently listened as I read from one of the birthday boy’s new books. The parents joked I had set up daycare so they could get much-needed adult time. Even though it was all in good fun, it stung, like I’m some faux grown-up until Paul and I have children. So for a while, at least, I think I’ll stick to weddings over kids’ birthday parties. Married, childless ladies, do you ever feel like you’re taking too long to “get there”? Or are you a whole lot more self-assured than I am and know these things happen for everyone on different timelines?